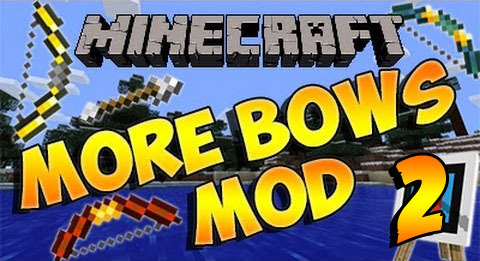 More Bows 2 Mod allows you to use many new powerful bows while playing Minecraft.These will probably make the game more interesting. 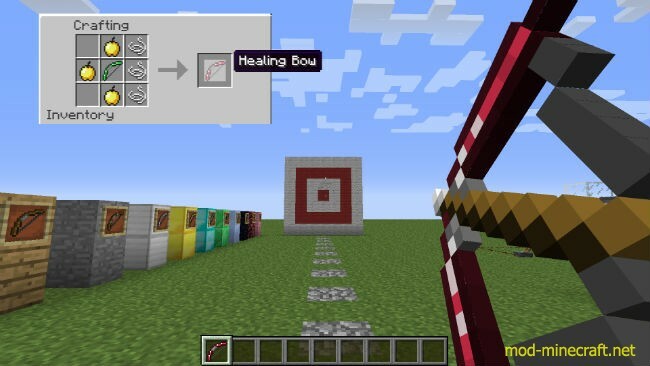 Reinforced Bow: Does slightly more damage than the vanilla bow and also has a little better durability. 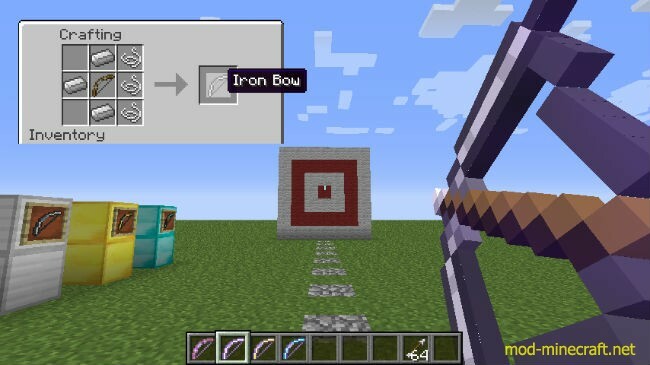 Iron Bow: Slightly more durable than the reinforced bow, does a little more damage and also has a slightly faster drawback as well. 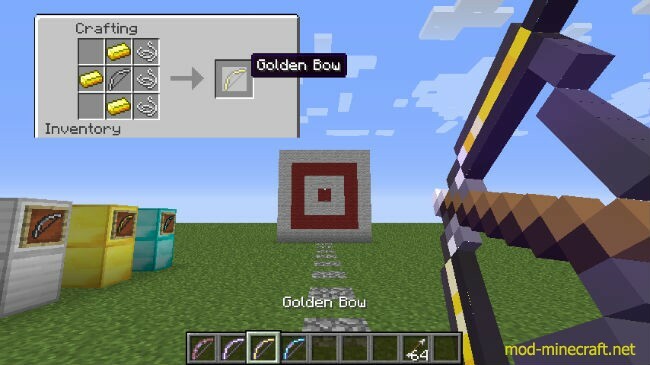 Golden Bow: Deals MASSIVE damage, has impresive drawback but the only downside is that it has really lame durability. Crystal Bow: The best bow in the mod so far. 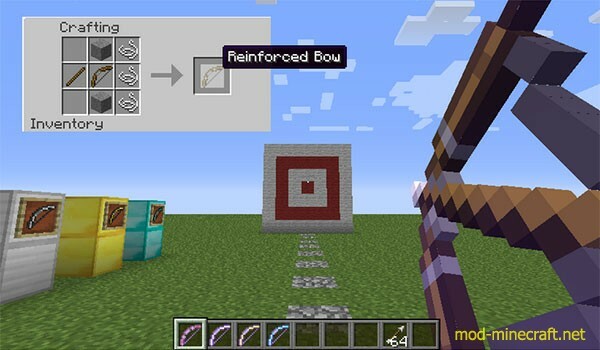 Really high damage, nearly twice bigger durability than the iron bow and very wuick drawback. 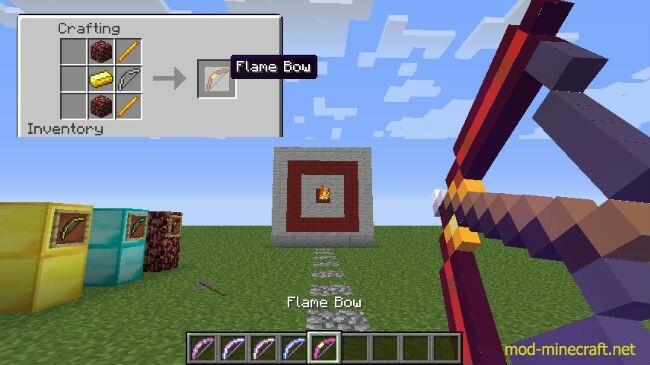 Flame Bow: More Damage and same drawback as the Iron Bow, shoots flaming arrows. 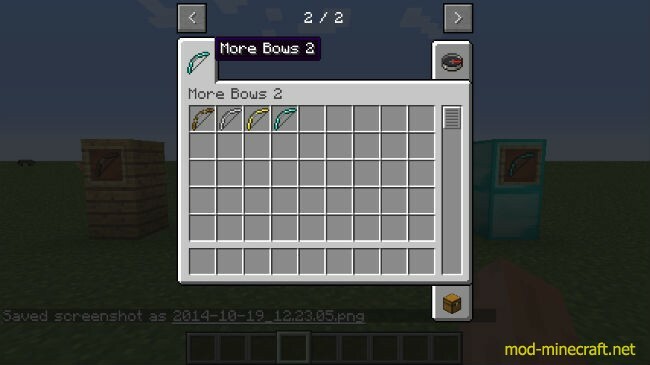 Emerald Bow: The best one in the mod so far. All its attributes are better then the crystal bow’s but its pretty pricey requiring 3 emerald blocks. Obsidian Bow: This one might not be as strong or fast as the other ones but if you want a bow that will last you a really long time then this one is for you. 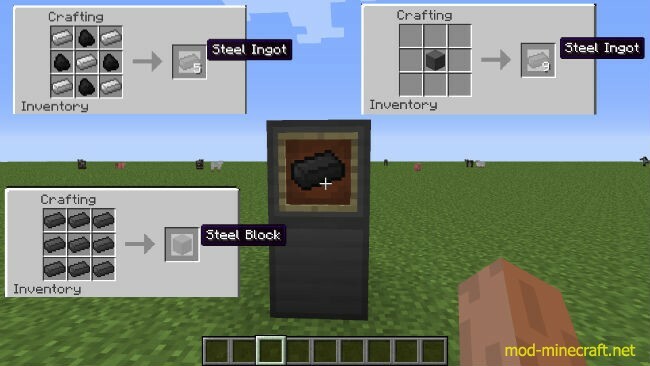 It has a massive durability (1821) and if enchanted with unnbreaking III it will be almost unbreakable. Frost Bow: Has really slow drawback but it gives enemies the slowness debuff when you hit them. 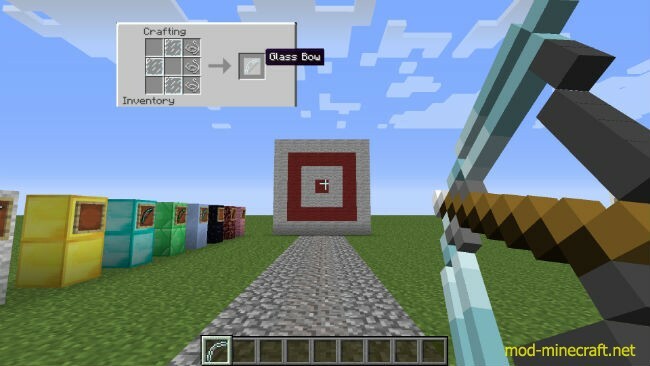 It also should be able to spawn a snow block but this doesnt work at the moment. 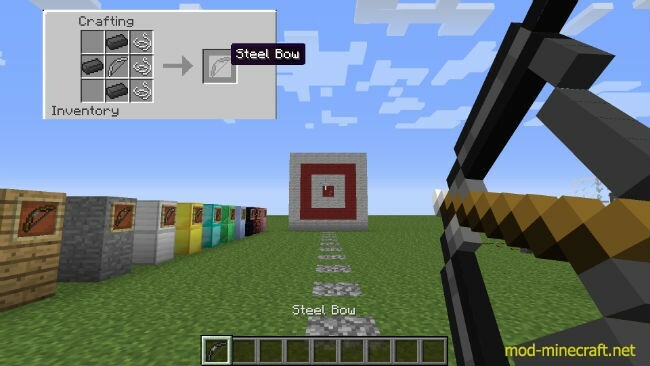 Steel Bow: The Steel Bow has the same attributes as the Iron Bow but it can also knock enemies really far away as well without needing the knockback enchantment. 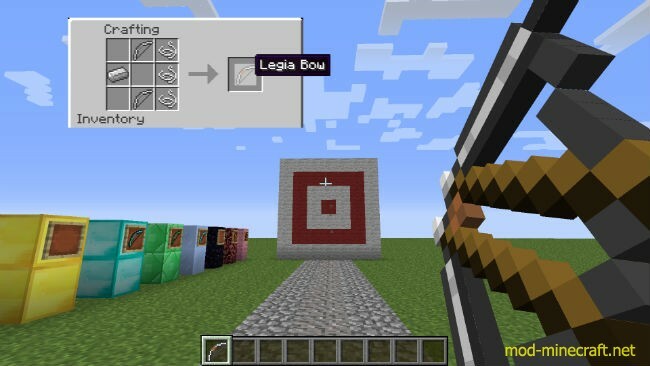 Legia Bow: Shoots 3 arrows at once and also has really good power and durability.